Although there is no current treatment proven to cure Alzheimer’s disease or dementia, there are promising research results showing a clear connection between diet and brain health. Several large scale scientific studies of the Mediterranean Diet, as well as smaller studies on specific foods and spices, point to the important role played by diet in the cause, prevention and management of Alzheimer’s. A healthful diet is now widely acknowledged to boost overall brain health and cognitive function and even potentially delay the onset of dementia symptoms and Alzheimer’s. 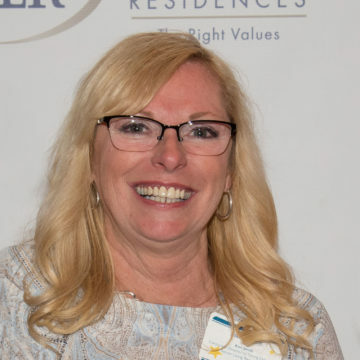 Senior Living Residences is committed to advancing public knowledge about this research in an effort to control the advance of Alzheimer’s disease, rated as the second most feared illness after cancer. A 2016 study showed that when taken outside of the Mediterranean region, adherence to a Mediterranean Diet still had significant impact on cardiovascular health and can actually aide in the prevention of cardiovascular diseases including stroke, heart attacks and high blood pressure. One of the largest human clinical diet trials to date, which followed 7,447 individuals for a median of 4.8 years, showed that following the Mediterranean Diet can dramatically reduce your risk of heart attack and stroke by 30%, even when you are at high risk for cardiovascular disease. This is a seminal study also for brain health since brain health is so closely linked to heart health. “Our ﬁndings support increasing evidence on the protective effects of the Mediterranean Diet on cognitive function,” Miguel Martinez-Gonzalez of the University of Navarra in Spain and colleagues reported in the Journal of Neurology, Neurosurgery and Psychiatry. A comprehensive study published in 2009 by Nikolaos Scarmeas, M.D., and colleagues at Columbia University Medical Center, found that individuals who follow a Mediterranean-type diet had a 32-40% decreased risk for developing Alzheimer’s disease. 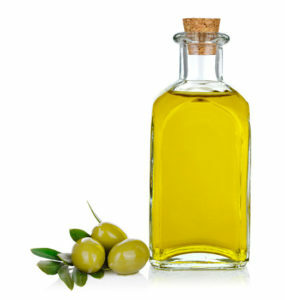 This is due to the Mediterranean diet’s proven positive effects on improving cholesterol, blood sugar levels, and blood vessel health, as well as reducing inflammation. These factors have all been associated with Mild Cognitive Impairment and Alzheimer’s disease. This study followed 1,875 individuals for 4.5 years. 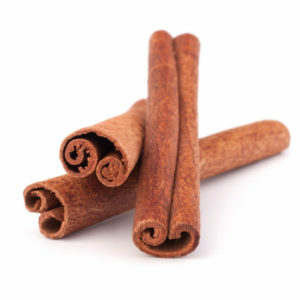 A study published in January 2011 is the first to actually test cinnamon’s direct effect on the brain. Researchers concluded that cinnamon could yield potential benefits against Alzheimer’s disease. Cinnamon can significantly decrease the accumulation and toxic “clumping” of amyloid beta protein, the substance associated with the plaque formation and nerve destruction in Alzheimer’s disease. Other studies, including this one conducted in 2010, concluded that cinnamon has a proven positive impact on heart health and diabetes. Scientists now know that what’s good for the heart and effective at combatting diabetes is also good for the brain. There is mounting evidence that heart disease, high blood pressure, stroke, diabetes and high cholesterol are all Alzheimer’s risk factors. This Alzheimer’s Association fact sheet provides a good explanation of how insulin resistance, high blood sugar and diabetes may harm the brain.